I’ve been having way to much fun with little projects. Making me feel productive and giving me a good chuckle to boot. Issy’s hands are always cold so Ashlyn talked me into making her a pair of mittens. The results are too cute for words. 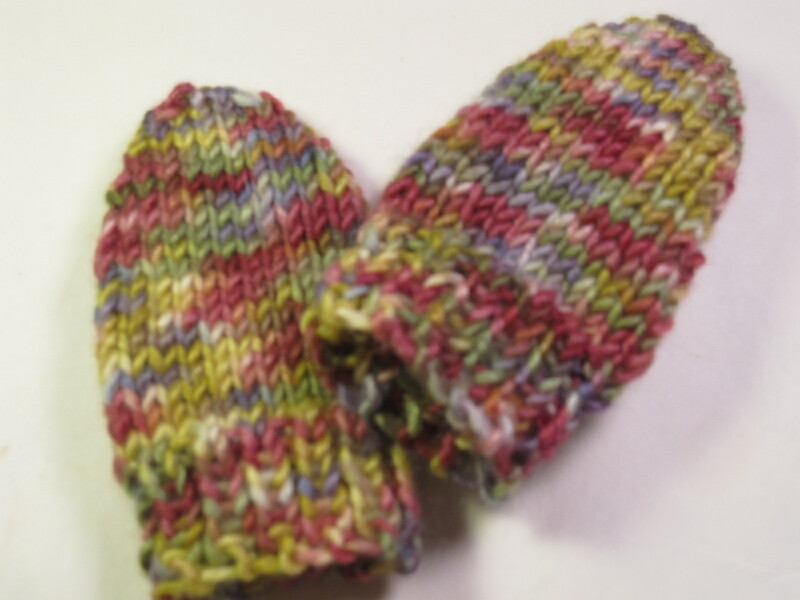 Wee Mitts are posted on my pattern page. 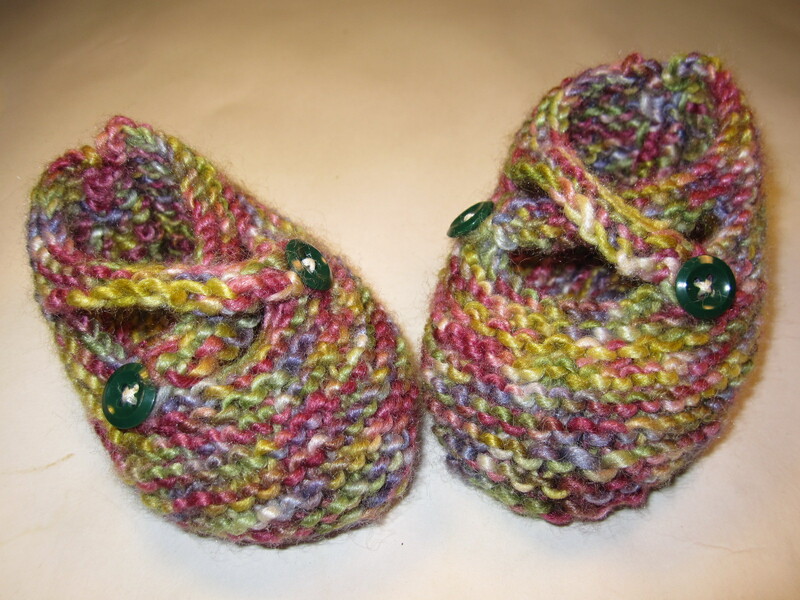 I also made a matching pair of “shoes” from Saartje’s Bootees. Hats have been on the needles as well. This is from my stash, it’s a box hat. Just a side note. 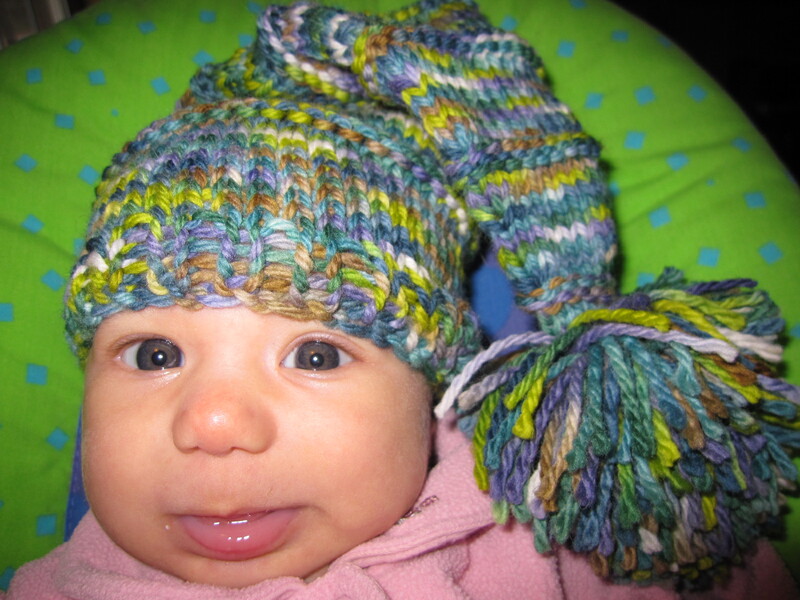 It’s remarkably difficult to get a good picture of both the baby and the hat while trying to hold the camera and the squirming infant who is desperately trying to get back into my arms. How can you not adore that face?!! Believe it or not these were the best two pictures out of no less than twenty five. 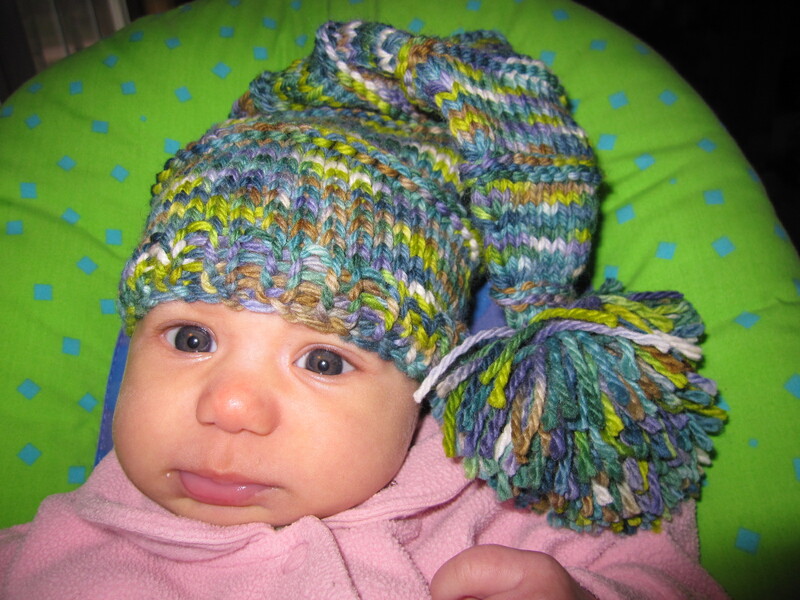 She obviously has no regard for the knitted arts. How absolutely adorable!!! I love the box hat the best! She will learn to love them in time, I’m sure 🙂 I don’t think she has much choice in the matter, really. I do think she still makes a good model though. She put a smile on my face, that’s for sure! 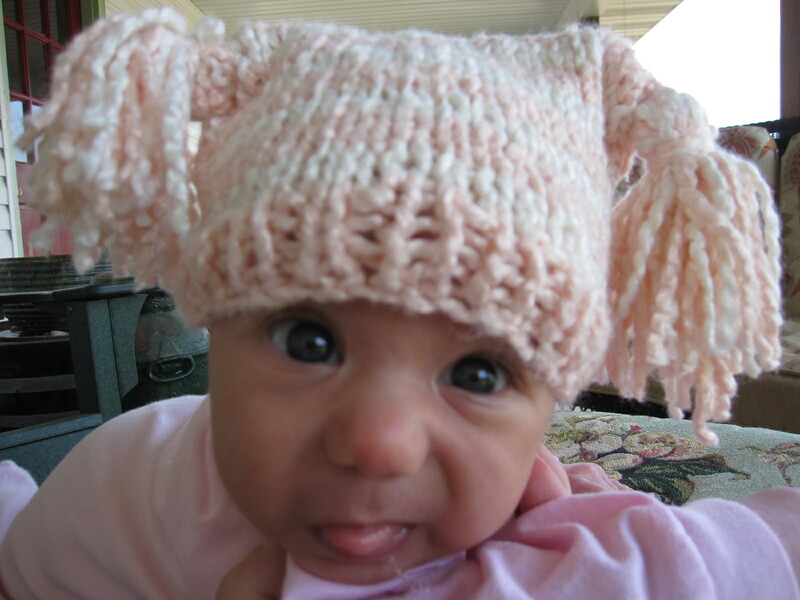 your baby is so cute.my tenth grandchild will be here this summer. and I have three step grandchilden. and I love knitting for them all.